"You are rewarded not according to your work or your time but according to the measure of your love." "Love transforms one into what one loves." "We trust and believe in what we love." "There will be love in proportion to faith and faith in proportion to love." "And the eternal Father said, 'And if anyone should ask me what this soul is, I would say: She is another me, made by the union of love.'" "They love their neighbors with the same love with which they love me." 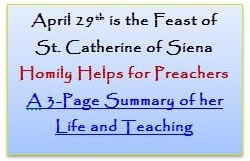 Edmund G. Gardner, "Saint Catherine of Siena,"
Kenelm Foster, OP, "St. Catherine's Teaching on Christ"
Alvaro M. Grion, OP "The Mystical Personality of St.
Mary O'Driscoll, OP, "Catherine the Theologian"
of Siena: Doctor of the Church"
Thomas McDermott, OP "St. Catherine of Siena"
Bp. Michael O. Jackels "Ontological Poverty"
Suzanne Noffke, OP "Catherine of Siena, Justly Doctor of the Church?" Fr. 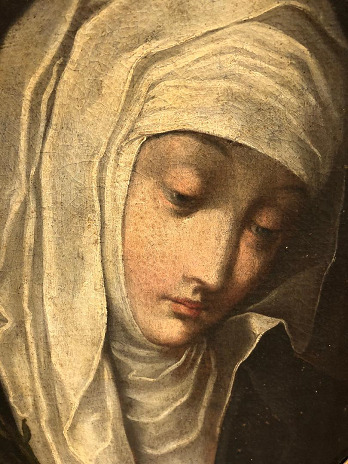 Robert Ombres, OP, "St. Catherine of Siena: Compassion and Mysticism"
This website is intended as a resource to the mystical thought of Catherine of Siena (c. 1347-1380), Dominican saint, mystic, Doctor of the Church, and one of the most remarkable women of the 14th century. Although much has been written about her life, relatively little attention has been given to her spiritual teaching as found in the compendium of her mystical thought known as the Dialogue, her 381 letters, and 26 prayers. In this website we have brought together some of the very best but often hard-to-find resources on Catherine's thought in the hope of filling this lacuna in spirituality. Every effort has been made to post materials on this website in such a way that citations for academic papers can be made without having to find the originals in a library. We hope to add new materials to this site from time-to-time--so please come back often. Catherine's thought has long been regarded as somewhat difficult and even impenetrable owing to the lack of English translations of her works (a problem which, for the most part, no longer exists) and the fact that many of her teachings were dictated to others over a period of time while she was in a mystical state and therefore contain interruptions, repetitions, and overlapping arguments. However, we feel certain that with the help of the material on this website you will be able to "unlock the door" of her mysticism and begin to experience its tremendous richness--- and perhaps be helped along on your own spiritual journey. If you know little or nothing about Catherine of Siena, then we suggest that you begin by reading Arrigo Levasti's excellent biography entitled My Servant, Catherine which is posted on this website. Regarding Catherine's writings, we suggest that you begin with an edition of her letters---perhaps Mary O'Driscoll's collection entitled Catherine of Siena: Passion for the Truth, Compassion for Humanity or Vida Scudder's Saint Catherine of Siena as Seen in Her Letters which, although available on this website, is a dated translation. The Dialogue, since it requires a bit more effort, should perhaps not be read first. 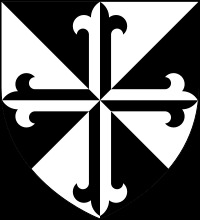 Before reading it for the first time be sure to read Benedict Ashley's article "Guide to Saint Catherine's Dialogue" on this website. To further understand Catherine's mystical thought, read the superb articles by Kenelm Foster and others also posted on this website as well as Thomas McDermott's book, Catherine of Siena: Spiritual development in her life and teaching (see below). When you've been "hooked" on Catherine, then you're probably ready to read Raymond of Capua's medieval biography The Life of Catherine of Siena. 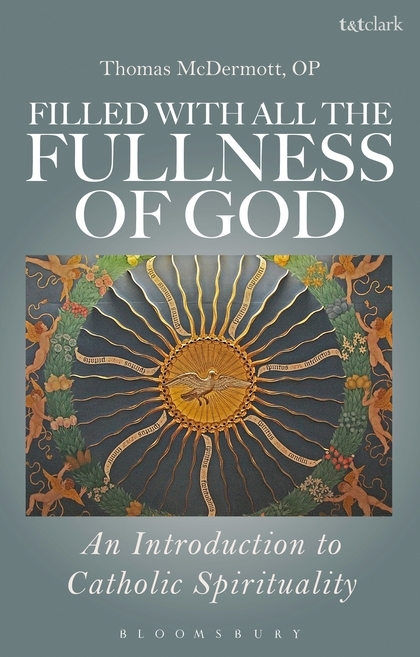 Filled with All the Fullness of God examines the truths of Christian faith which pertain to spiritual growth and the '”lived theologies” or spiritualities which derive from them. Far from being an idiosyncratic or personal presentation of Catholic spirituality, McDermott draws from the rich spiritual patrimony of the Church and presents “old” truths” from a fresh perspective. McDermott discusses a variety of issues: self-knowledge, our understanding of God, our partaking in the divine nature of God through deifying grace, the role of the virtues and gifts of the Holy Spirit in deifying our hearts and minds, the reign of God and the place of the Church and the sacraments, the role of prayer, stages in the spiritual life, and life after death. He presents Christianity not about “getting into heaven” but as a way of participating in the divine life here and now through deifying grace, in the sphere of the Church with prayer and the Eucharist. McDermott illustrates his argument with a variety of sources: Scripture, the Church Fathers, Thomas Aquinas, Catherine of Siena, the Catechism of the Catholic Church, and contemporary spiritual writers. “Eminently sensible and practical, this book contains a veritable treasure-house of sources and resources. With unaffected simplicity and wisdom, McDermott allows us to hear the voices of many of the great saints and theologians within the Catholic tradition. A most thoughtful and illuminating introduction!” – Fr. Paul Murray OP, Professor of Spiritual Theology at the Angelicum in Rome. “Fr. McDermott, O.P. has until now stood out in scholarly circles by presenting Catherine of Siena not only as a saintly mystic but a brilliant theologian as well. Here in his latest work, he draws from his expertise of medieval spirituality (and beyond) to illustrate how true Christian discipleship is not simply a matter of right belief or right action, but to become "filled" with God's very life and thereby become other Christs for the world. McDermott's writing is accurate and alluring, inviting all into this great Catholic transformation.” – Fr. David Meconi, S.J., Assistant Professor of Theological Studies, Saint Louis University. – Deacon James Keating, Ph.D, Director of Theological Formation, Institute for Priestly Formation. 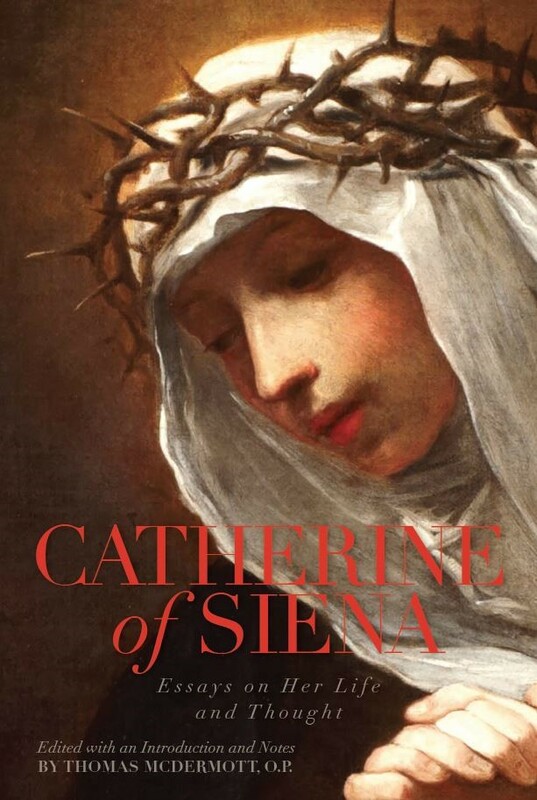 "Thomas McDermott's magisterial book is the first work in English that does full justice to the systematic theological importance of Catherine of Siena's teaching. Readers will find their thinking freed from the styles and whims of so much writing on 'spirituality' and set firmly on the path that Jesus himself trod with his disciples." "In this well-researched book, Thomas McDermott has unraveled the many intertwining threads in Catherine of Siena's teaching on spiritual development to produce a logical and convincing description of the spiritual journey along the Christ-Bridge. 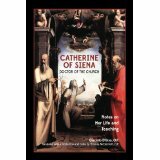 Catherine of Siena offers its readers many helpful markers on their own journey toward God." "The merit of Father McDermott's book is that it tackles some of the most difficult aspects of St. Catherine of Siena's teaching. A demanding but enriching work which brings our understanding of Catherine an important step forward." Catherine of Siena. Doctor of the Church. Notes on her life and teaching. Translated with introduction and notes by Thomas McDermott (Chicago: New Priory Press, 2013). 125 pages. 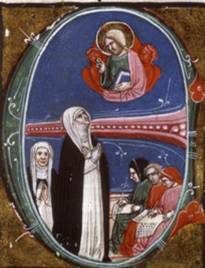 In 1970, the year St. Catherine of Siena was proclaimed Doctor of the Church, Giacinto D'Urso, O.P., the world's foremost authority on the saint, wrote his magnum opus on her teaching. It was only in this work, of which this is the first-ever translation in English, that Father D'Urso undertook a comprehensive exposition of her thought. D'Urso's work reflects a classical theological training, knowledge of mysticism in general, his Dominican vocation, and an ardent love of Catherine. He is careful and thorough in his summaries and analyses; his conclusions are balanced and reliable; his style is literary, succinct and dense. His scholarship reveals new depths to Catherine's thought. All students of Catherine of Siena and of medieval mysticism will find this volume a valuable asset. A.B. Sharpe, Mysticism. Its True Nature and Value. John A. Hardon, S.J. "Visionaries and Visions"
This site is managed by Fr. Thomas McDermott, OP. This site was last updated November 15, 2018.